Repair a necktie snag in less than 30 minutes. Tie snags happen quickly and are hard to prevent unless you know when and where they may happen. The tie hangs in front of you and does not always stay in place. When you rub up against a file cabinet, bookcase or you are waiting in line at the coffee counter, your tie may snag. Fixing a snag in a tie is a simple procedure done with a small sewing kit. Thread a medium size needle with fuzzy thread. While regular thread can be used instead, the fuzzy thread will grip the snagged thread more easily. You can find fuzzy thread at craft supply stores. You can use any color of thread because you will not be sewing with the fuzzy thread. Insert the needle through the front of the tie. The needle should go through the exact same hole as the snag; this will help to pull the snagged thread that is on the tie back through the tie. Watch the hole as you line up the needle, you do not want to hit other stitches. Push the needle through the hole of the tie. The needle should go straight into the material and back out the opposite side. Pull the needle and thread through the hole completely. Look at the snagged thread once more. If the thread is still protruding in the front of the tie, repeat the process. You may have to push the fuzzy thread back through the tie several times before the snagged thread finally catches and comes through the hole. Never push from the backside of the tie outward. Place the needle and thread down, and pinch the snagged thread gently once it comes out on the backside of the tie. If possible, tie the snagged thread in a small knot. Short thread may need to be maneuvered into a knot using tweezers. Resew the snagged area with matching thread if the snag is too short to tie into a knot. Thread the needle and make one or two small stitches and tie them off on the backside of the tie. When resewing the snag, only stitch the snagged area, do not stitch over other stitches that are intact. Place a hand on either side of the tie and pull outward. This will cause the snag to stretch out and you may not need to push the threading through. Spray a light mist of hairspray over the snag when finished sewing to seal the stitches. Never cut a snag; this may widen the hole. 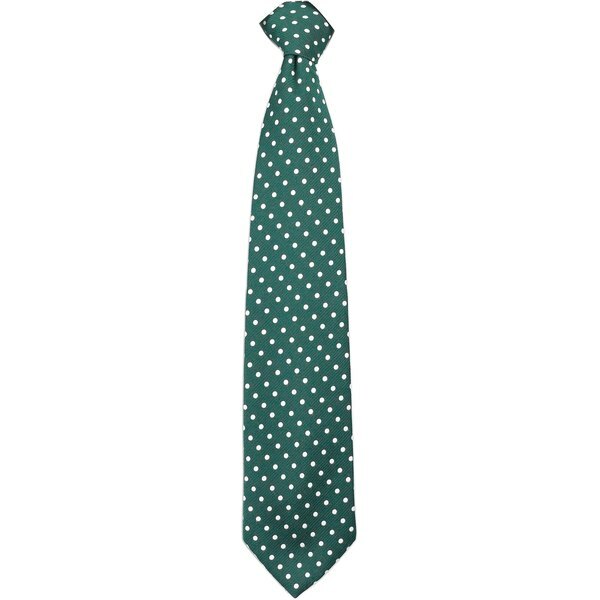 How to Check if a Burberry Tie Is Authentic?